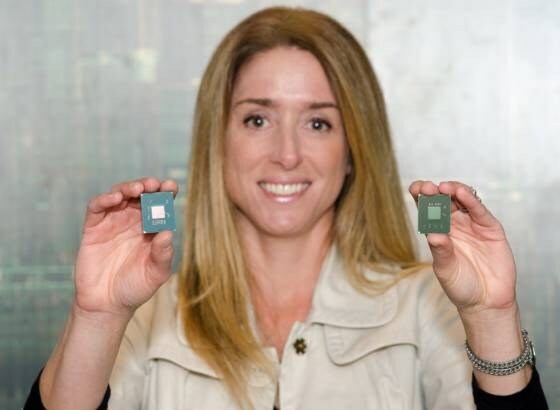 Intel announced on its blog that it started sampling Avoton, its new 22nm Atom processor for microservers. Set to become available in the second half of 2013, this 64-bit SoC is made on Intel's 3D tri-gate 22nm process and based on the new "Silvermont" architecture. Separately, HP announced yesterday that it started shipping ProLiant Moonshot servers with the Intel Atom S1200 processor and that these servers will be upgraded to Avoton later this year. Moonshot servers with the Intel Atom S1200 are shipping to customers today and receiving great reviews. We look forward to sharing more results from customers going forward as these implementations go public. We also look forward to seeing Moonshot systems that will take advantage of higher density HP ProLiant Moonshot servers using Intel’s next generation Atom SoC coming later this year. The next gen servers will be built on Intel’s 2nd generation 64-bit Intel Atom SoC, code named “Avoton”. Avoton is built on Intel’s leading 3D tri-gate 22-nanometer (nm) process technology and is based on a new microarchitecture codenamed “Silvermont”. It will feature an integrated Ethernet fabric controller and deliver improvements over today’s Intel Atom S1200 in performance per watt and energy efficiency through a combination of new capabilities, new microarchitecture and leadership manufacturing technology. Avoton is now being sampled to customers and the first systems are expected to be available in second half of 2013. Moonshot servers using Avoton will quadruple the density (4 Avoton SoCs per server) vs. the current generation just announced using Intel Atom S1200.